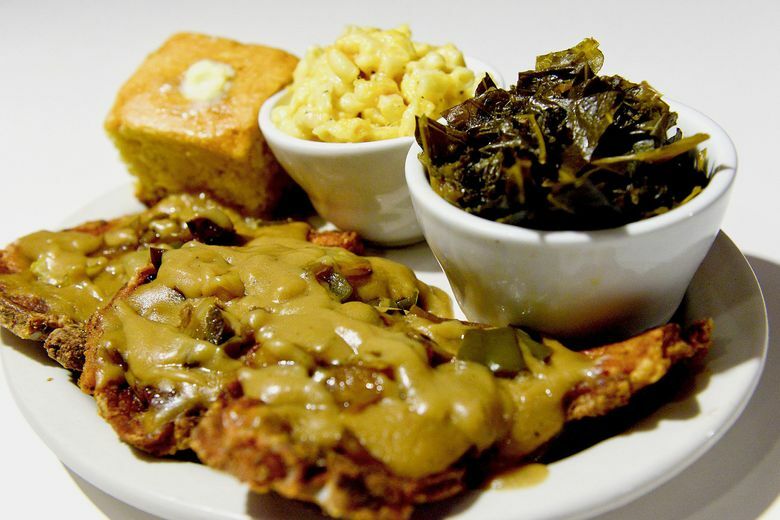 African-American foods bring comfort by being down-to-earth and heavenly at the same time. While cookbook authors and home chefs hang on to recipes that were handed down from their grandmothers and mothers, they also improvise on the classics. 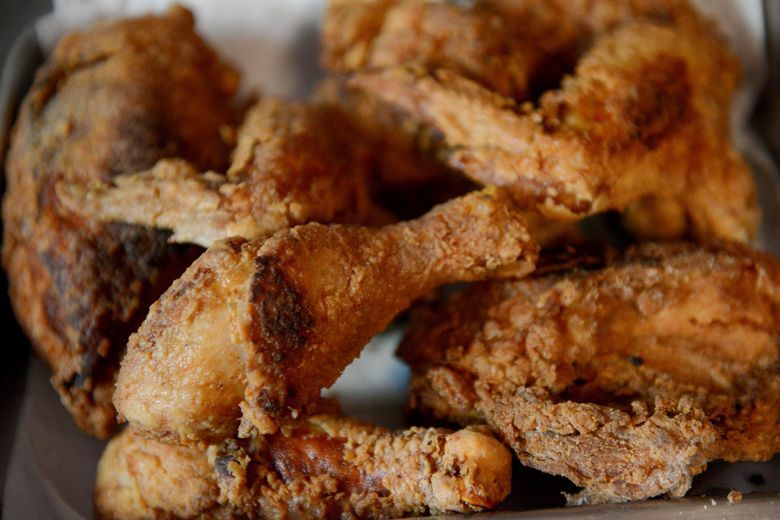 Fried chicken that was once seasoned with only salt and pepper gets flavored with garlic and onion powders and a host of other spices. 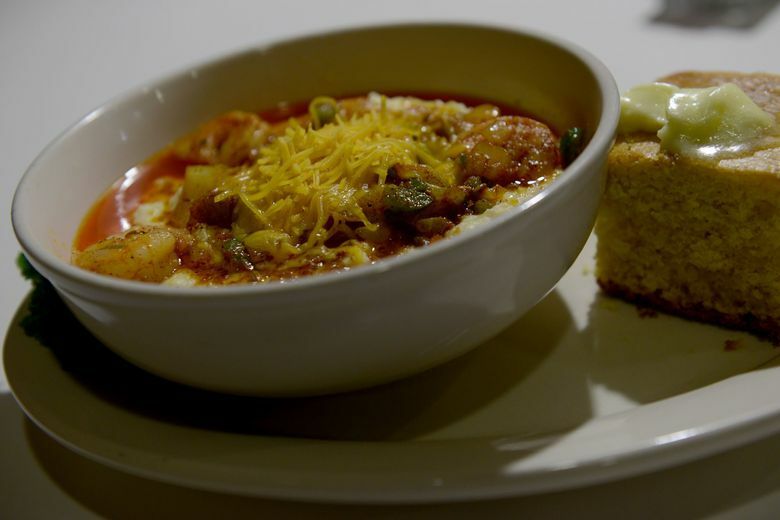 Grits are served plain or with shrimp and even tomatillo and squash. Vegetable shortening is replacing lard in some recipes, and smoked turkey is being used instead of ham in greens to meet changing tastes and dietary needs. Before the days of refrigeration, stews were a way of stretching foods in the house and not wasting anything. Over time they are still a way of using leftover vegetables and meats and have gotten richer in flavor with the addition of heavy cream to an oyster stew or half-and-half to a corn soup. Sweet-potato pie, also known as potato pie, remains the queen of desserts and is a must-make for any holiday. The tubers are either baked or boiled and redolent with nutmeg, cinnamon and allspice. Vanilla, lemon and imitation rum extracts are added in some cases for more flavor. Poundcake is an all-occasion dessert and served plain, dusted with powdered sugar, with fruits and ice cream or sauce. 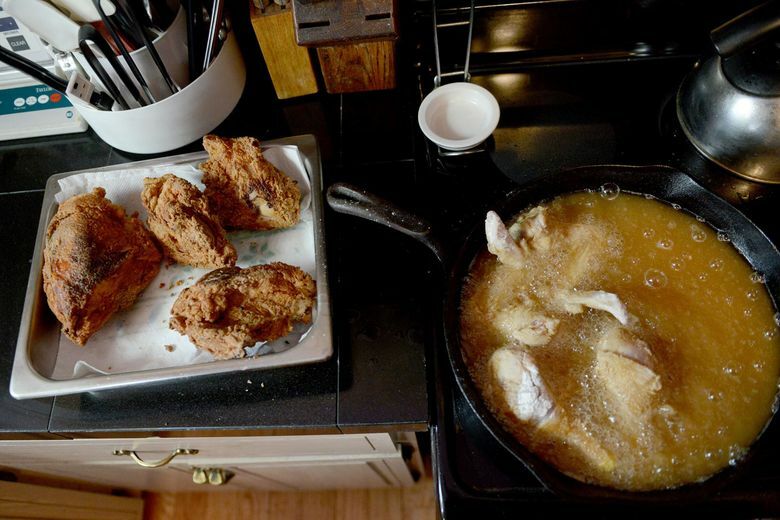 It’s important to remember African-American cooking is not monolithic. “It is nuanced and is different from region to region depending on the availability of ingredients, cooking techniques and socio-economic bracket,” says author and food historian Jessica B. Harris. 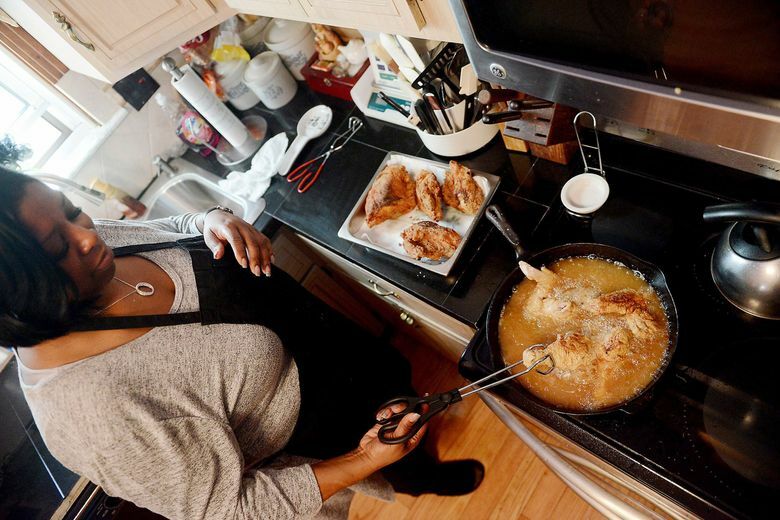 When stand-up comic Lillian Cannon, of Broadhead Manor in Pittsburgh, fries chicken, she starts by cooking the bigger pieces before the smaller ones and places the meat skin-side down. If she is in a rush, she coats the chicken with a quick seasoning by combining Lawry’s season salt, black pepper, Creole seasoning and garlic powder. 1. Preheat oil in a deep cast-iron pan. Rinse chicken pieces, pat dry and then lay them flat on a cutting board. 2. Season chicken with pre-mix seasoning and let sit for about one hour. 3. Place chicken pieces in a resealable plastic bag. Pour in the buttermilk and beaten egg. 4. Mix flour and cornstarch in a bowl and then pour the flour mixture into a second resealable plastic bag. 5. When oil is hot (test by dipping a wooden spoon in the oil; if oil starts to boil around the spoon, it is hot enough), add the meat pieces. After the bottom side of pieces turn golden brown, flip them over so that other side turns golden brown. Then flip the pieces two more times. 6. Carefully remove pieces with a pair of tongs, shaking off the excess oil, and place them in a pan lined with paper towel. This pie recipe from Niara Sudarkasa, the first woman to serve as president of Lincoln University in Oxford, Penn., is delicious, aromatic and perfect in every which way. 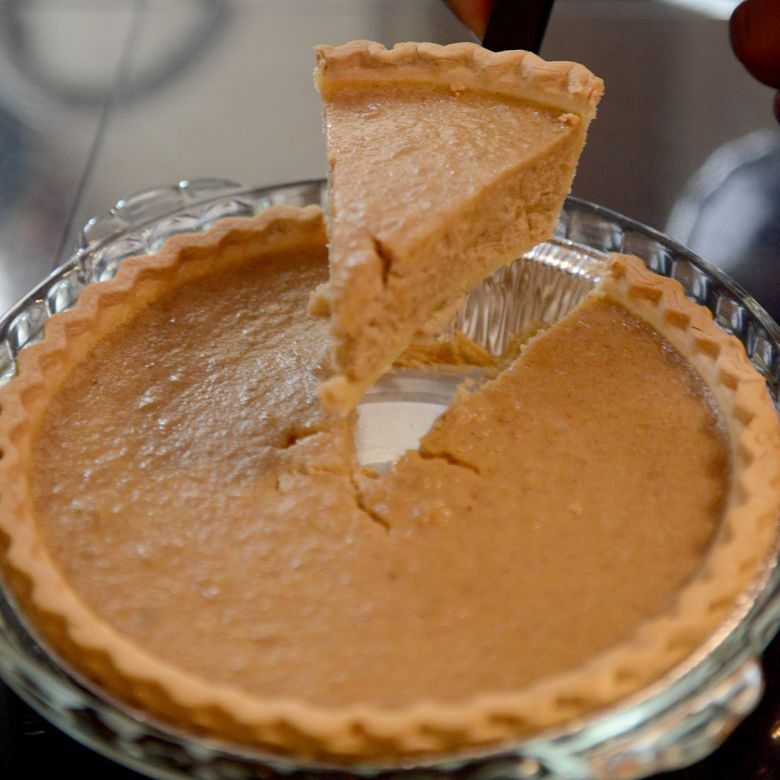 Why should one go for a sweet-potato pie loaded with fat and sugar when 1½ tablespoons of butter and ¾ cup of brown and white sugars can do such wonders? 2. Mix eggs, sweet potatoes, sugars, butter and spices in large bowl. 3. Gradually beat in milk; mix thoroughly. Stir in flour until well blended. 4. Pour into pastry shell and bake 20 minutes. 5. Reduce oven temperature to 350 degrees. Bake 30 to 35 minutes or until set and knife inserted in center comes out clean. Mark Twain has said: “No bread in the world is quite as good as Southern cornbread, and perhaps no bread in the world is quite so bad as the Northern imitation of it.” It would be a sin to buy cornbread mix when you can make a memorable one like this one from scratch. For a well-browned and crisp exterior, it is best to bake it in a cast-iron skillet. 2. Add butter to an 8-inch cast-iron skillet and place in oven for about 10 minutes. 3. Combine cornmeal, salt and baking powder in a large bowl. Whisk together well. Stir in buttermilk and egg. 4. Remove pan from oven. Carefully, pour hot butter into the cornmeal mixture. Whisk together well. If using cracklings, stir them in. 5. Pour batter into the hot skillet. This ensures a deep brown crust. 6. Place in middle rack and bake for 45 minutes. Serve warm. 1. Preheat oven to 325 degrees. Spray a heavy 10-inch Bundt pan well with baking spray. 2. In a large bowl, cream butter until light and fluffy. Slowly add powdered sugar and beat for several minutes, until the mixture is satiny. Add sour cream, vanilla and lemon extract or juice and zest and mix well. 3. Sift flour and baking soda. Add 1 cup of flour mixture to the butter and mix in well. Then mix in half the egg yolks. Mix in another cup of flour and the remaining yolks. Add the rest of the flour. Don’t overmix, or the cake will be tough. Do the final mixing by hand. 4. In a large bowl, with clean beaters, beat egg whites to stiff peaks. Gently add whites to the batter, folding them in with a spatula — just barely mix everything together. 5. Scrape batter evenly into Bundt pan. Level batter. Rap pan sharply on countertop, rotating the pan slightly each time, to eliminate any air pockets. 6. Bake for 30 minutes. If the cake is getting too brown on top, turn down oven to 300 degrees, then test again in 15 minutes. The cake is done when the top springs back when lightly touched and a toothpick inserted into the center comes out clean, about 45 minutes to an hour in all. 7. Cool on a rack for 15 minutes, then run a knife around the rim and center tube and invert the cake onto the rack to cool completely. 8. Transfer cake to a serving plate or a cake stand. Dust with powdered sugar. Carleen King of Carmi Soul Food in Pittsburgh got the idea for this recipe after she had shrimp and grits for the first time. She uses stone-ground grits. 1. To prepare grits: Heat water and salt in a heavy-bottomed saucepan until just simmering. Stir grits into the water. 2. Cook, stirring often, until grits are tender to the bite and have thickened to the consistency of creamy oatmeal, for about 20 minutes. 3. As grits thicken, stir more often to keep them from sticking and scorching. When done, remove from the heat and stir in¾ cup cheddar cheese. 4. To prepare shrimp: Melt butter in a pan over medium heat. Add onion and green pepper. Saute until onions are transparent. 5. Add shrimp; cook until firm and pink, for about 2 minutes. 6. Sprinkle seasoning on shrimp and continue to cook for 1 minute. 7. To serve: Add 1 cup of prepared grits into four large bowls. Ladle shrimp mixture equally on top of grits. Garnish with remaining cheddar cheese. — Carleen King, co-owner of Carmi Soul Food in Pittsburgh. Pittsburgh restaurateur Carleen King says she improvised her grandmother’s recipe, which called for cooking the pork chops in brown onion gravy for 40 minutes on simmer until the meat fell off the bones, so that the kitchen could meet the needs of the other items on the menu. 1. Lightly sprinkle pork chops on both sides with 1 tablespoon seasoning mix. 2. Combine ½ cup flour with 1 tablespoon seasoning mix in shallow pan. Dredge pork chops on both sides in flour mixture. 3. Fry pork chops in vegetable oil on medium heat until golden. Don’t worry about cooking through because they will be cooked again later. Set pork chops aside. 4. To make gravy, use oil that the pork chops were fried in, and sauté remaining ½ cup flour until brown. Stir constantly. The darker you brown the flour, the richer the gravy color will be. 5. When flour reaches desired color, add water or chicken broth and stir constantly while gravy thickens. Bring gravy to a full boil, then reduce heat to low. Don’t worry if gravy mixture is a little lumpy, it will smooth out while simmering. 6. Stir in onion, seasoned salt, garlic powder and black pepper. 7. Add pork chops and simmer on low for 20 minutes. — Carleen King, co-owner of Carmi Soul Food, Pittsburgh.